When you switch on the TV in your home or hotel room, you might watch a channel that promises to provide alternative news. This channel will tell you that in the West, microchips are implanted under the skin of office workers to make them more submissive and passive. You will be surprised by alternative polls which reveal that a substantial number of Europeans consider Crimea a part of Russia, and that Sweden wants to leave the EU. This is perhaps the only TV channel which will tell you that the French President apparently regrets the sanctions imposed on Russia and that Germany’s Foreign Minister has apparently praised Russia for its “constructive role in resolving the crises in Ukraine and Syria“. 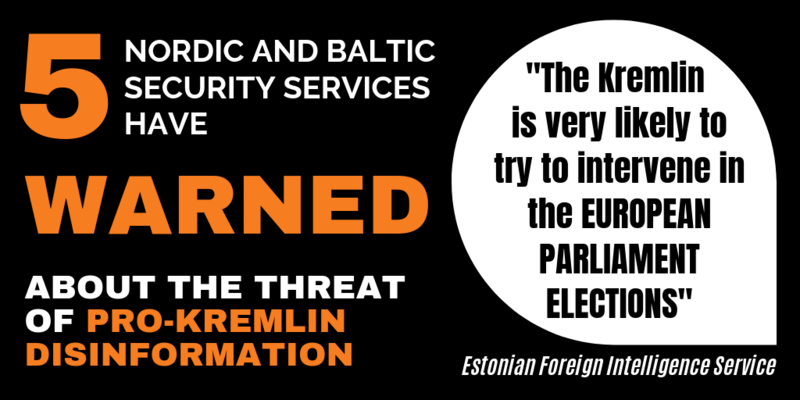 Only here you will hear that the Swedish authorities have told the country’s municipalities to prepare for war and that the EU is committing a form of genocide against Russian citizens living in Crimea. You will always encounter an alternative narrative about Ukraine, for example that that Turkish instructors operate training camps for foreign mercenaries in the country. According to this channel, the official Dutch report concerning the downing of flight MH17 was based on false facts and rigged by Ukraine to blame Russia. You will be told, too, that Russian ground forces have not operated in Syria and that Russia’s primary mission there is to fight Daesh, not to support Assad. According to this channel, the EU and its Member States never did anything to help civilians in Aleppo; indeed, all other media, which the channel consistently labels “main stream”, have been lying to you about Syria. The Russian President’s spokesperson has access to an open microphone on this channel when he feels the need to dismiss criticism of Russia’s policy and actions in Syria as “Russophobia”. The channel also makes itself available when Russian authorities wish to spread biased reporting and disinformation about the Presidential election campaign in France, as described here and here. And you will quickly realise that it is not only the news that is alternative, but many of the commentators invited in the role of experts, who, it turns out, are marginal, or seldom have the qualifications you would expect from an expert. 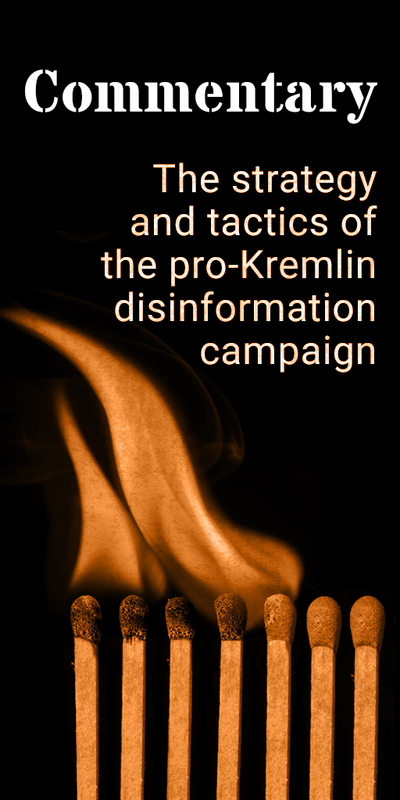 The stories outlined above have all been reported over the past year and a half in different issues of the Disinformation Review. The media outlet in question is Russia Today, or RT as it now calls itself. RT is generously funded by the Russian state (around 300 million USD annually) and its ambitions are high: It wants to “question more”, as one of its slogans says, and become a global leader among those who feel in opposition to “the main stream”. As the Russian authorities’ most expensive international prestige project, it uses sensationalist clickbait in a way which is not very different from its sister organisation, Sputnik. Obviously, the reason why RT and Sputnik prioritise tabloid style journalism is to be able to report successful viewership numbers. On Youtube for example, RT also boosts its outreach to very high numbers by systematically buying up rights to potentially viral footage of babies and pets, humoristic incidents from real life and catastrophic accidents, as Alexey Kovalev demonstrates in his analysis published by Bellingcat. The Daily Beast has in its reporting shown in detail how RT misrepresents its ratings. RT’s overall success remains modest, but it does enjoy some popularity among audiences which, as a study has shown, besides the clickbait headlines appreciates RT for being “honest about lying“. But it is not just the spread of pro-Kremlin disinformation and artificial boosting of its own success that characterises RT. On a number of occasions, its fundamental journalistic standards have been subject to serious criticism by the communications regulator in the UK, Ofcom. With regards to a broadcast in March 2014 titled “The Truthseeker: Media ‘Staged’ Syria Chem Attack“, Ofcom criticised RT for its “materially misleading” factual content and “unfair treatment of individuals and organisations” (Bulletin 288). Similarly, as a result of a July 2014 broadcast titled “The Truthseeker: Genocide of Eastern Ukraine“, which focused on the conflict in eastern Ukraine, including allegations that the Ukrainian Government and its supporters had a policy of genocide against the Russian-speaking population there, Ofcom found that RT had been in breach of the rule that “due impartiality must be preserved on matters of political or industrial controversy and matters relating to current public policy”. (Bulletin 288). These are just a two of more than a dozen cases when Ofcom has warned RT over its failure to comply with fundamental, internationally acknowledged rules of professional journalism. In order to look credible against such a problematic background, RT is in dire need of one particular kind of labour force, namely talking heads which are not Russian, but who can appear on the screen relaying the pro-Kremlin disinformation narrative. RT prefers to use international journalists, and only rarely their Russian colleagues, as hosts and reporters. Their role is to speak in English, French and other foreign languages without an accent, and they are attracted to work for a good package as well as for a media organisation known for its hi-tech production standards. 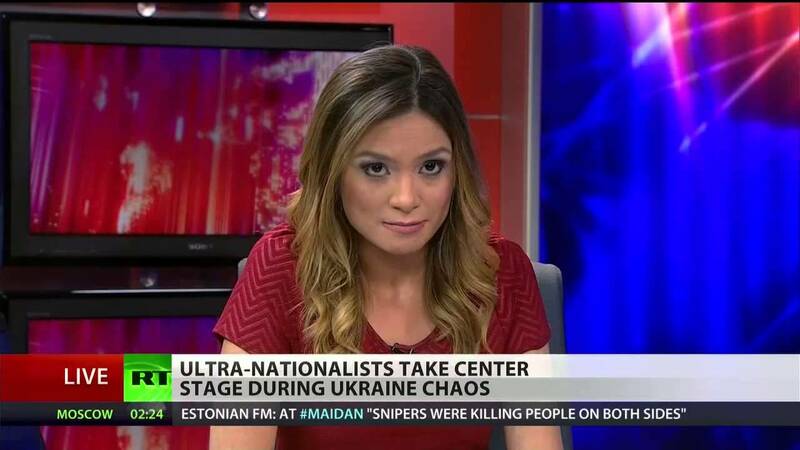 On two occasions, however, international news presenters working for RT have quit their jobs during live broadcasts. Watch this video to see Liz Wahl, an American news host, telling her audience live on air why she could not legitimise Russia’s illegal annexation of Crimea. And this video, showing another RT anchor, Abby Martin, suddenly criticizing Russia for its occupation of Crimea. People with no previous experience of Russian state media, who perhaps tune in to RT in hotel rooms and via cable packages, can always use their remote control to escape. It takes more courage to do so from within. On 5 March 2014, Liz Wahl, an American news host, quit her job live on air, telling her RT audience why she could not legitimise Russia’s illegal annexation of Crimea (Image: Youtube).